How Our Lawyers can Help Your DUI? With over 60 years of combined experience, we are ready to help you with all of the problems associated with an arrest for DUI. We are ready to explain how a drunk-driving charge will affect your driver’s license and the criminal penalties you face if convicted. More importantly, we can explain the various options you have in DEFENDING your case and PROTECTING your license. 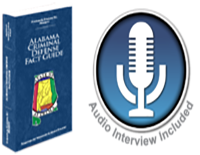 Our lawyers routinely handle DUI cases in the Birmingham area, as well as in courts throughout the entire State. There is HOPE in successfully handling your DUI case. Contact our office today for a FREE phone and or office visit.